Do you want to write for the Being Apptentive blog? Awesome! We love publishing guest posts from experts who provide unique, informative, and useful perspectives on all things mobile. To help you craft the best content for our audience, take a look at our post guidelines and style rules below. Once you're through, please email our editor, Madeleine, to submit your outline for review. Thanks for your submissions! REQUEST A DEMO OF APPTENTIVE TODAY! Learn how we these help global brands drive customer centric product development. Read our requirements and guidelines completely. You will then receive a response from our editor regarding the next steps. The Apptentive community enjoys topics covering every aspect of the customer communication world. We’re interested in marketing, customer experience, product management, customer feedback, ASO, design, customer service, and everything in between. We only accept unique content and manually check all posts for duplicate content before publishing. We recommend reviewing existing Apptentive blog content to verify if your topic has been covered thoroughly in the past. We prefer posts containing actionable content, especially posts including valuable examples and statistics. Double check your spelling and grammar before submitting a post for review. Include images in your content. Images help break up large blocks of text, which helps readers take in more awesomeness from your content. Please limit images to 640 pixels wide. Affiliate links are not allowed in posts, but we strongly encourage adding relevant links to help enhance your content (e.g. linking to supporting data). If you have questions or comments about your submission, please email madeleine.wilson@apptentive.com. We will reject a post if we feel it is simply an advertisement for a product or service. We will reject a post if it does not meet the requirements above and reserve the right to reject a post if we feel it violates the integrity or voice of our brand. 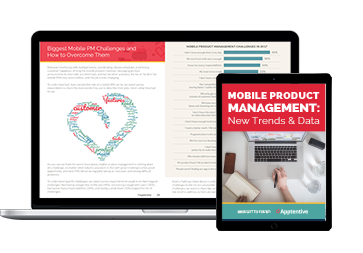 At Apptentive, we welcome all levels of marketers, app publishers, engineers, product folks, customer support, etc. Our community members range from industry leaders to those who are just beginning their customer communication journey, so we aim to publish something for just about everyone. Beginner: Those who are new to customer communication, mobile marketing, etc., or who have an interest in learning more about the basics. Beginners typically do not have a deep understanding of complex topics (e.g. deep linking within mobile apps). Intermediate: They have the basic concepts down and are looking to expand their knowledge through robust data, new theories, and in-depth studies from those who have been there before. Some will have begun to adopt specialties, but are still interested in learning about the general customer communication environment. Advanced: Think industry leaders whose knowledge around all-things-customer runs deep. Their networks are robust, they are go-to thought leaders in their areas of expertise, and they influence future predictions in their worlds. A small—but significant—segment of our community members fall into this category. Inclusive: Include all community members’ experiences in your tone and do not segregate/marginalize groups through harsh language or inappropriate humor. It’s expected that all posts won’t be a perfect fit for every reader, but all community members should feel comfortable while reading your content. Positive: The world of mobile is fun, and we want to spread the love! Be positive in your writing and stay away from derogatory language and destructive criticism. In general, speak in a way you would like to be spoken to. Authentic: Our goal is to educate as many folks with an interest in mobile as possible, and the best way to do so is through an authentic conversation. We don’t own the mobile knowledge we share, and we want to spread our learnings as far as possible. Personal: Add your personality! Nobody likes to read content that all sounds the same. Spice up your writing by being true to yourself, whether that includes witty humor, silly jokes, or the occasional cat video.